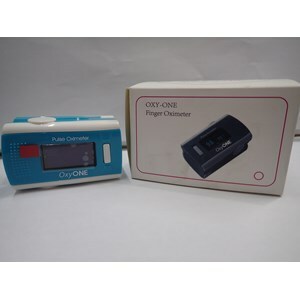 Pulse Oximeter Oxy One is a tool to measure oxygen levels in blood, and pulse easily and accurately in a short time by clamping the tool on the fingertips. 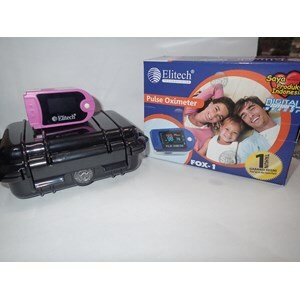 Pulse Oximeter Designed attractive, lightweight, small and practically carried everywhere (equipped with hanger), more vibration and shock resistance so that the measurement is more accurate. This tool can be used in ambulance, emergency unit, anesthesia, ICU, clinic, inpatient room, rehabilitation, home care, asthma, also for examination before, during, and after exercise for athletes. Can be for adult / child. - Display: color OLED Display, can be rotated reading position. 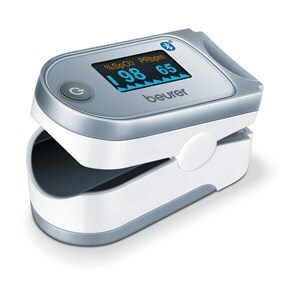 pulse Oximeter Beurer PO30 is usually used to determine arterial oxygen saturation (SpO2) and heart rate (pulse frequency).